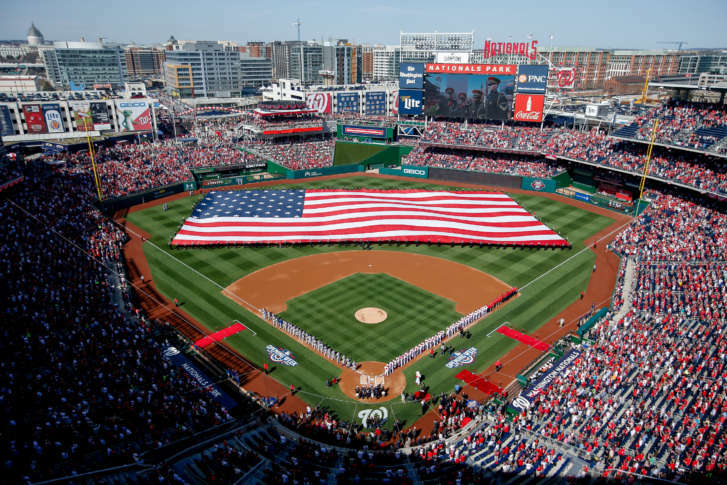 If you enjoyed watching the Washington Nationals and the Baltimore Orioles at home on local TV, get ready to cry foul: there won't be any games on local broadcast TV. WASHINGTON — If you enjoyed watching the Washington Nationals and the Baltimore Orioles at home on local TV, get ready to cry foul. Both teams are cutting ties with local broadcast channels. Not a single Nationals or Orioles game will be carried by a local CBS affiliate or any other over-the-air broadcast channel this year. Instead, the Mid-Atlantic Sports Network, known as MASN, will become the exclusive provider of Nats and O’s baseball, pregame and postgame shows in the region. The Orioles own the majority of the network, whose president is John P. Angelos, a member of the family that owns the Orioles. The Nationals own a small stake in MASN, going back to the team’s arrival in Washington. However, the two organizations have been in a long legal battle over Washington’s share of broadcast rights fees. Washington claims it is owed hundreds of millions of dollars by MASN. WJZ-TV started broadcasting Orioles games in the mid-1990s. The first home game aired on local ABC affiliate WMAR-TV in 1954. MASN will air 94 Nationals games live. An additional 64 games will be broadcast on MASN2. Bob Carpenter will serve as the play-by-play announcer for MASN’s Nats games and F.P. Santangelo will serve as color analyst. MASN will air 92 Orioles games live. An additional 69 games will be broadcast on MASN2. Gary Thorne and Jim Hunter will serve as primary play-by-play announcers for the Orioles while Baseball Hall of Fame pitcher Jim Palmer and former MLB shortstop Mike Bordick are the color analysts. View the MASN Nationals schedule. View the MASN Orioles schedule.